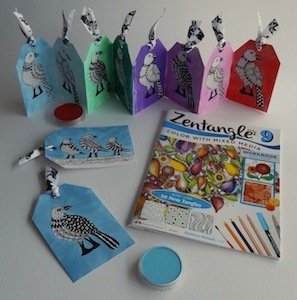 View a YouTube, make your own mask and stencil from Post-it notes to create beautiful Zentangle® inspired bird tags using pan pastels and Dylusions ink sprays. 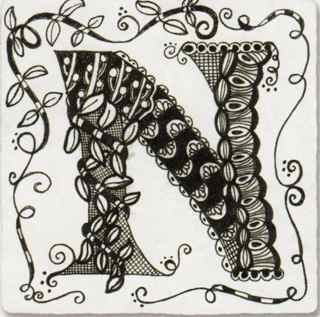 I love being creative … almost anything will do – painting, sculpting, sketchbooks, drawing, Zentangle, and well just almost everything. 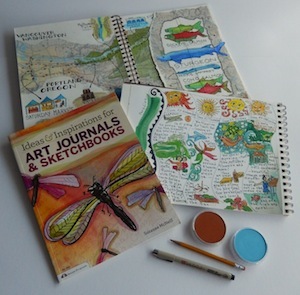 And attached to that love, some of my favorite passions are designing art books for FoxChapel Publishing Co. and teaching art classes. Paula Pillow and I belong to the American Penwomen Association. Every year, our chapter hosts two invitational art shows. 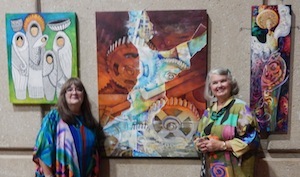 This year I exhibited Zentangle and Intuitive paintings, and Paula displayed her large paintings of layered gears. In 2012 I opened an art studio. We offer open classes and art events, and participate in Gallery night here in Texas. 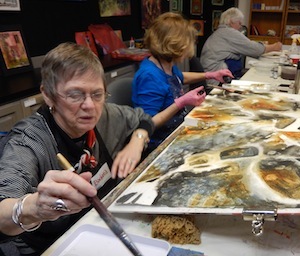 Barbara Buechley is a wonderful artist and has taken several classes in the studio, here she is painting. Our teaching studio and art gallery – SparksStudioArt.com is located close to my home. 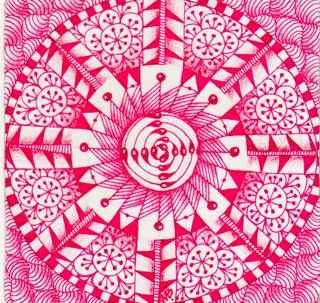 Check out Barbara’s wonderful Zentangle drawings above. While she was recovering from surgery, she had days on end to tangle away. 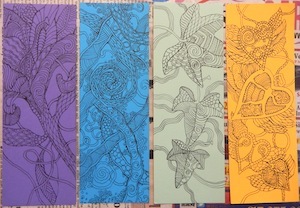 Her colorful cards and bookmarks are always appreciated as token gifts of friendship. 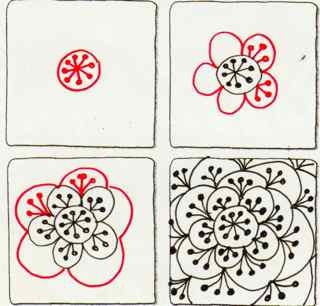 View a YouTube, follow this easy process to weave a beautiful Zentangle® card. Being creative and developing new patterns and projects is my passion… nearly anything is inspiring. CHA (Craft and Hobby Association) comes once a year. This is where art and craft shops find out all about new products and techniques. At the January 2015 convention in California, I love meeting up with long-time friends, taking classes, seeing everything new, and demonstrating new ideas. 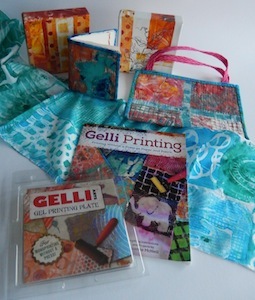 This year I will do demos and make&take projects on four of my favorite things… Zentangle® tags and accordions, Gelli Arts® printing, handmade Visual Journal books, and Reactive metal paints. 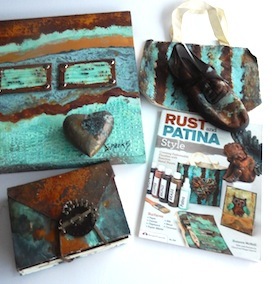 If you come to CHA, please come visit me at the Design Originals – Fox Chapel Publishing booth #1421. My demos are on Sunday 12:00-1:30 and on Monday 9:00-12:00. The dates for CHA this year are January 10th thru the 13th. In 2014, I authored a few NEW books. 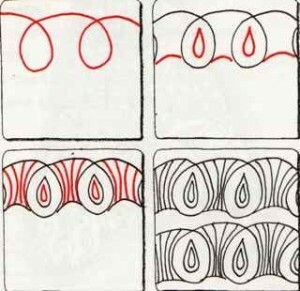 I love designing books and am fascinated by new techniques. Come and see these books… as always, I like to pack my books with tons of information and inspiration. I’ll have them with me in California – or you can check them out on Amazon.com.